For best results all facial treatments and peels should be experienced in a 4 to 6 week series. 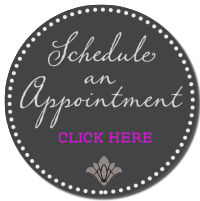 Ask about our Gluten-Free Treatments and Products. 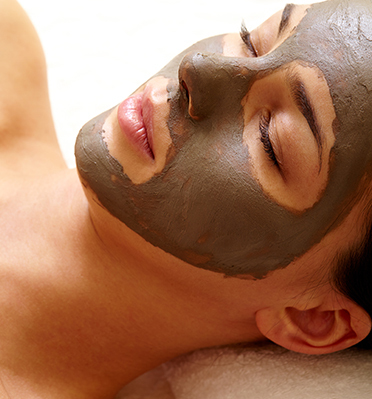 Customized to your skin type, includes skin analysis, exfoliation and massage to stimulate a healthy glow. A skin analysis and cleansing massage in preparation for exfoliation and extraction, stimulates cell renewal for a healthy complexion. Patented Soy Age Reversing Complex stimulates skin regeneration. Intensively Renew, Lift and Replenish aged skin. Visibly improve the appearance of fine lines and wrinkles immediately. Effective and proven treatment to battle Menopausal related skin changes. 100% Free of Paraben, Petrolatum and Mineral Oil. A resurfacing facial treatment that is equivalent to three Glycolic Peels. Reduces fine lines due to dehydration or over-exposure, removes white and blackheads, smoothes rough and uneven skin, reduces scarring, diminishes pigmentation, while stimulating circulation and collagen production. Finish with an Algo Mask to refresh and hydrate. For any skin type and most conditions. G M Collin Clinical Treatment – Turn back time with this powerful antioxidant treatment incorporating a Vitamin C concentrate, Algae biomatrix patches and a thermal organic mud mask. Reduces appearance of lines and wrinkles, evens out the skin tone and illuminates the skin, restoring its youthful glow. A revolutionary oxygenating acne treatment designed to clear skin congestion, detoxify, and control acne and revitalize fatigued, stressed and dull skin. Formulated with 2% Salicylic Acid(BHA), 15% Glycolic & Lactic Acids (AHA’s), and a unique Oxygen Complex, it helps to control acne and hydrates in depth. The skin becomes luminous, healthy and younger looking. A four action treatment formulated to exfoliate, deeply rehydrate, restore, lift and firm the skin for instant radiance and enhanced skin tone. A face lifting facial delivers a variety of benefits to those who wish to attain a healthier and younger looking appearance. This treatment improves muscle tone in face and neck, lifts jowls and eyebrows, reduces and eliminates fine lines and wrinkles, improves facial circulation and exfoliation, lymph drainage and product penetration. Bye Bye to dehydrated winter skin. This G. M. Collin facial is a Nobel Prize winning discovery in medicine. It has 7 International patents. Innovators in the Alliance of Stem Cells (preserve longevity), Sirtuin (increases cellular longevity, DNA repair, epidermal repair, peptide (anti-aging). Paraben Free. This facial will repair and regenerate on a cellular level, reverse the visible signs of aging, rebuild cellular membranes and work on DNA damage, reducing wrinkles by 78% after one treatment. Once condition is evaluated, a revised Deep Pore Cleansing, Microdermabrasion or Fresh Up Green Peel will be selected to help treat, calm and heal the teenage condition. 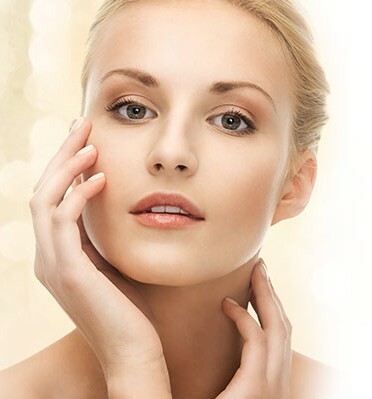 Non-acid natural based Peels that show immediate noticeable effects after one treatment.